Want longer, thicker and darker lashes? Know your history: Do you have a history of eye pressure issues or Glaucoma? These medical conditions must be discussed with our staff prior to use. Conserve your solution: Place one drop of Latisse in the cap and dip one applicator into the solution. By dropping it into the cap, you ensure none of the solution misses the brush. Apply as directed: Once per day, drag the applicator across your eyelid as if applying eye liner. Repeat step 3 on the other eye. Have thinning brows? Dab any extra solution onto your brow where you would like to see thickening. Watch your lashes improve. First, you’ll notice they will get darker. Next, you will see them grow longer. Last, you will see them become thicker from follicle to tip. 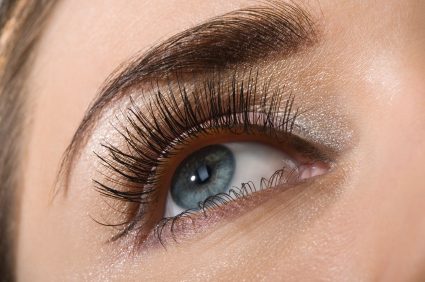 While using Latisse, mild eye irritation may occur. With many of our patients, this irritation dissipates over a few days. You might also notice a light line where the Latisse was applied. One of our staff members said she actually liked this line, because she didn’t have to apply eye liner for a few days! The line tends to disappear over time. As with any of the products we sell at Timeless Skin Solutions, please call the office at 614-799-5100 if irritation persists for longer than a couple of days. To learn more about Latisse and what it can do for you, drop us a line.